Jalal has taught in the University of Wisconsin-Madison, Harvard University and Columbia University, and is now working as Mary Richardson Professor of History at Tufts University. 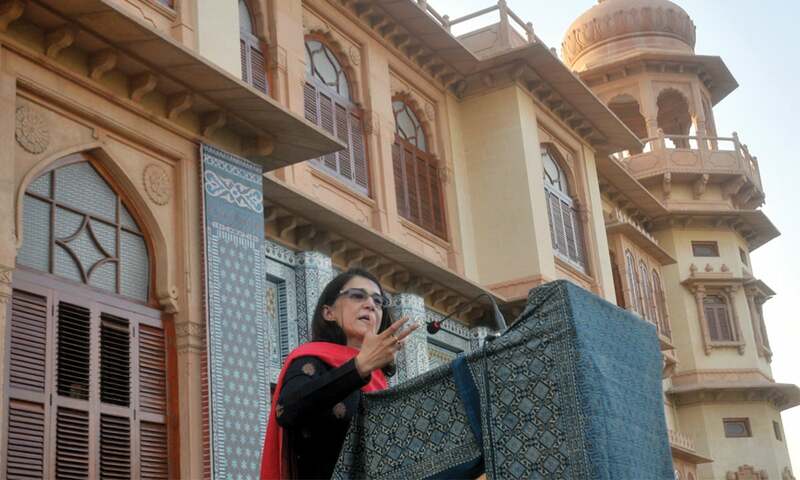 She also delivered the Lawrence Stones Lecture Series at Princeton University in 2011. 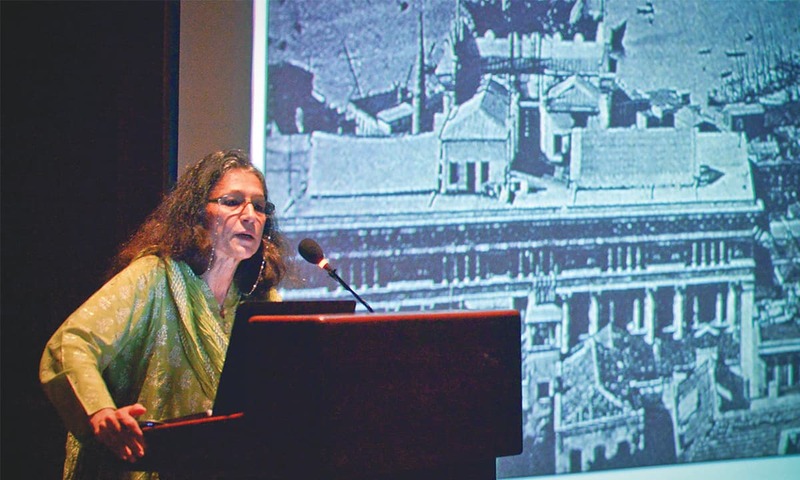 These lectures gave shape to her book The Pity of Partition - an intellectual history of the life and works of Saadat Hassan Manto, who is also closely related to her. 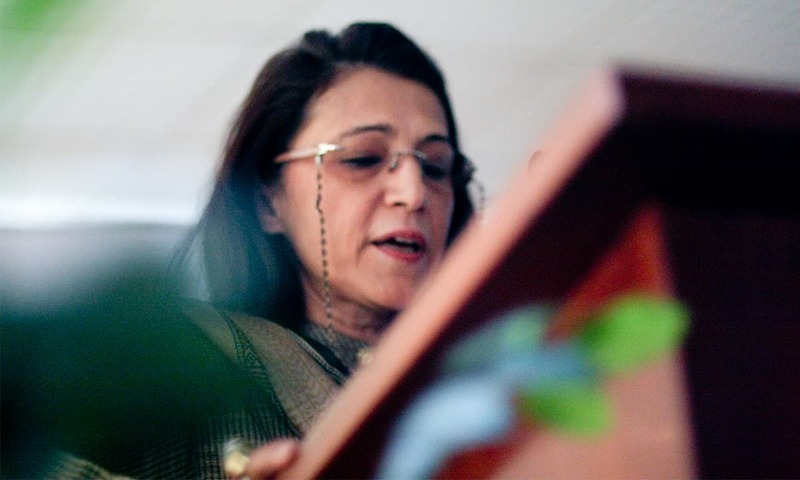 Here are excerpts from two recent conversations with her in her home city of Lahore. Ali Usman Qasmi. What has been your experience as a Pakistani woman working in American universities? 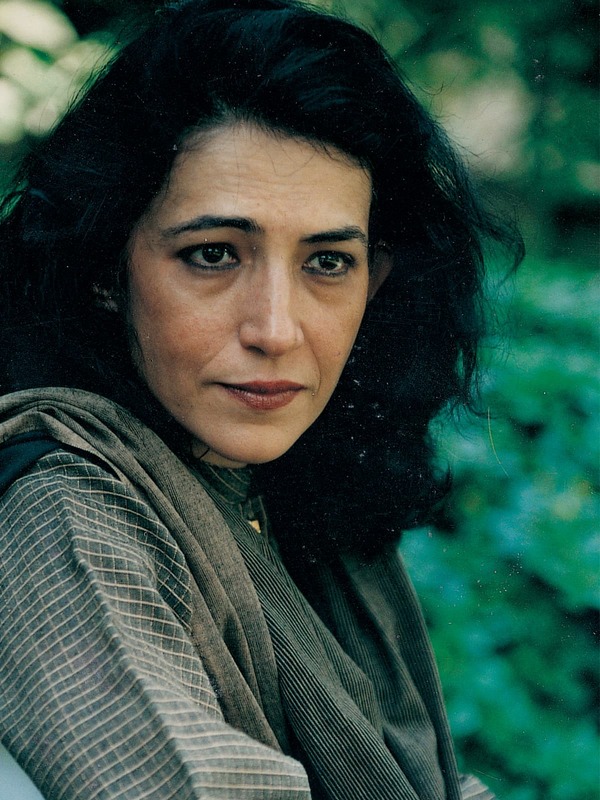 Ayesha Jalal. It may be easy to get into the academy but it is hard to stay in there. No matter how good you are, you have to be on your toes. When [people at American universities] think of South Asia, they primarily think of India and that has been a problem. One had to fight with this limitation. I have never taught a course on Pakistan specifically, yet there was a sense [of curiosity] about my nationality rather than what I did. When I started [my academic career], there weren't really many Pakistanis in the field of South Asian studies. That field was sort of infested with Indians. To find a niche for yourself was not an easy thing. Qasmi. There must have been biases and discrimination that you had to fight against. Jalal. Everybody talks about accommodating differences but nobody is comfortable with differences. As far as I am concerned, I am what I am. If I wear shalwar kameez and they think that I have to be a particular woman then that is their problem. People are also more comfortable with the notion of a fixed identity, but the problem with me is that I did not fit [into a specific category]. I might have fit visually into the stereotype of me but my thoughts did not fit in, which made people uncomfortable. Qasmi. In an age in which the shelf life of an academic book is very short, what do you think has given The Sole Spokesman its enduring appeal? Jalal. I did have a bit of luck in the sense that I started my research at a time when the documents [cited in the book] had just come out. Mine was among the first takes on those documents. It also went against the grain of commonplace views of Partition. The fact that the book was well-documented has played a role in giving it the shelf life it has had. The Sole Spokesman has become a kind of academic orthodoxy - even if you don't agree with it, you have to look at it. Qasmi. In what ways has your stance changed or evolved since you wrote that book? Jalal. All I can say is that every book I have written has had a particular question. In the case of The Sole Spokesman, my question was how did a Pakistan come about which satisfied the interests of its main constituents so poorly? That was in response to the narrative at the time in Pakistan, under General Ziaul Haq, which said religion was Pakistan's sole raison d'etre. When I wrote [The State of Martial Rule], the question was about the military dominance in Pakistan. By the time I wrote Self and Sovereignty, my question was whether religion played a major role in determining politics in Pakistan. Electorally, religious parties don't win but they still exercise a lot of influence on the mindset. So, I switched at that stage to studying identity. I was interested in looking at the concept of communalism as well as the cultural and intellectual history of the so-called "two-nation theory". Jalal. It was a political movement. Whatever an Islamic state means is another debate. I mean, what kind of Islamic state are you referring to? Are you referring to one run by the mullahs? Well, that was clearly not what Jinnah had in mind. When Nawab Bahadur Yar Jung tried to force him to commit to an Islamic state in 1943, he resisted and said the Constitution of Pakistan would be what the representatives of the people wanted, what the people of Pakistan wanted. One of the great fallacies of those wedded to seeing history purely through the 'great men in history' argument is that they don't see the context. What I have said many times is that there is too much made of the history Jinnah made and too little of the context that made Jinnah. He operated within the context of Muslims in India being a [religious] category, even though they were not united or organised. Qasmi. Did he then transform a minority into a qaum, a nation? Jalal. Well, discursively, yes. And he wanted to do much more. Jinnah was from a province where Muslims were in a minority. He wanted to use the power of the areas where the Muslims were a majority to create a shield of protection for where they were in a minority. The possibility that the areas that became Pakistan would offer a kind of protection for Muslims living in areas which have remained in India was not acceptable to the Congress. It was easier for them to partition the subcontinent and let these areas go. Qasmi. But why would majority provinces where Muslims were already ruling, especially Punjab and Bengal, agree to a plan? Jalal If you argue that Punjab and Bengal wanted to become a separate country, then Islam as the basis for Pakistan does not make sense. [Their reason to opt out of India] would be provincialism or regianalism, not religion. Any Islamic explanation for the new country would have to explain how Muslims cohere across India. Why should Punjab and Bengal bother about that? That is exactly what politicians in Punjab and Bengal said. Jinnah did not want Partition, in case people have forgotten that, Similarly, when the United Bengal plan was floated, Jinnah said it was better that Bengal remained united. He said what was Bengal without Calcutta? It was like asking a man to live without his heart So, we ended up with a mutilated Pakistan that Jinnah had rejected out of hand. Qasmi. Let us assume that there was no division of Bengal and Punjab. Even in that case, Musl.ims in Indian provinces where they were a minority would still remain a minority. The effort to protect their rights through the presence of minority populations of Hindus and Sikhs in Muslim majority provinces seems like hostage theory. Jalal. Well. hostage theory is one way of putting it. It was reciprocity of rights - the rights non-Muslims will have in Pakistan will be guaranteed if the rights of Muslims in Hindustan were protected. And the idea was that there will be porous borders between the two countries. The borders that emerged were not what Jinnah was thinking of. Qasmi. You have talked about the limitations that Jinnah had. In the same way, don't you think that the Congress also had its limitations? Jalal. Absolutely. All politicians and parties are limited and restricted by their rank and file in some ways. One very important limitation that led to the acceptance of Partition by the Congress can be identified in the interim government's so-called 'poor man's budget' [in 1946] which we all know was not the brain child of Liaquat Ali Khan, but of the finance department The Congress supporters in business wouldn't tolerate that. They thought the budget was untenable. 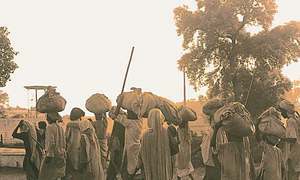 The other limitation was the scale of communal violence. Increase in violence decreased room for the Congress leadership to negotiate a compromise. Every out break of violence hardened the Congress position. Qasmi. What are the historic aspects of what you point out as the "Muslim Question" in India?Does it have to do with the fact that Muslims would not live as a minority under Hindu rule after having ruled India for centuries? Jalal. That played a role at the discursive level to a large extent in the formulation of the Muslim Question but, apart from the discursive level, you need to look at the political framework provided by the British decision to grant the Muslims separate electorate. That made Muslims an all-India religious category and Jinnah said that they, therefore, needed to be given a share in power at the all-India level once the British had left. He took the argument further by saying the unitary centre [for India] was a British construct. 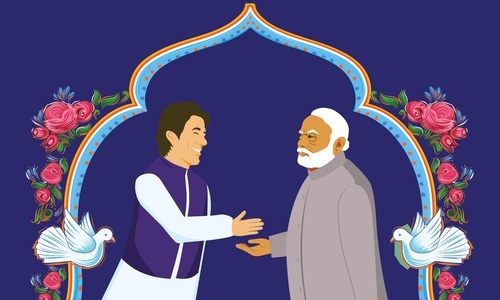 Any centre for independent India would have to be decided upon by the Muslim majority provinces, the princely states and the Hindu majority provinces on the basis that Muslims are a nation entitled to equal treatment along with Hindus. I feel the only man who could have been more revelatory than he proved to be was Azad because he knew what was being discussed among the Congress high command. The discursive force of the past did play a role but it was the concrete politics of the situation that pushed the question forward. There was no contradiction in it. The only contradiction l see is that the regional aspect was not given enough thought even though the regions were very important. If you look at the Cripps Mission, it practically exposed the whole problem in Jinnah's strategy because it gave Punjab, Bengal and other provinces the right to opt out of the Indian federation. If Jinnah wanted a Pakistan, then he would have allowed this, but he did not allow this because he wanted to ensure that Muslims from those provinces where they were in a minority also got something. Qasmi. Can we say the Muslim Question existed because of a complete failure on part of the Congress to appreciate that Muslims had concerns? Jalal. The Congress lacked imagination as far as mass contact with Muslims was concerned. Secondly, even men like Maulana Abul Kalam Azad were saying until the end that the Muslim Question was a psychological one rather than a political one. When Jawaharlal Nehru made the plea for Partition as opposed to sharing power, Azad was still arguing that the Congress should make some concessions to keep the Muslims within India. But then he was sidelined by Gandhi and others. I feel the only man who could have been more revelatory than he proved to be was Azad because he knew what was being discussed among the Congress high command. He however, never came out in the open. In a sense, it is still an incomplete story. The 30 pages he had withheld from his autobiography raised hopes that they may contain the whole story but their eventual release was a disappointment. He came closer to blaming it on Nehru but there was much more that we needed out of those 30 pages. On what grounds did the Congress high command justify the division of Punjab and Bengal? We know it led to about 60 years of Nehruvian dynasty. This dynasty would never have come about if Punjab and Bengal were not divided. Uttar Pradesh would never have dominated Indian politics. Punjab and Bengal would have called the shots. Where would Nehru be in that case? Qasmi. Would you say the genesis of Pakistan is based on exclusion, on difference? Jalal. All nations are founded on exclusion. Nationalism that leads to exclusionary results harps on the idioms of your own community. Even in the case of Indian nationalism espoused by the Congress, the idioms deployed were Hindu idioms - whether it was Vande Mataram or the Wardha Scheme of Education. The failure of that nationalism is not adequately acknowledged. People keep talking about Pakistan and its exclusionary nationalism but what came first- communalism or nationalism? The sense of exclusion was created by the dominant idioms that the Congress employed despite its rhetoric of inclusionary nationalism. Jalal. And just the general attitude towards Muslims. Take, for instance, the career of the Ali brothers. They were with Gandhi during the Khilafat Movement, but then they just could not get along with him because of how Gandhi changed his position on the Khilafat Movement, under pressure from the Hindu right wing. Qasmi. I wanted to talk about your book on the origins of martial rule in Pakistan. As Hamza Alavi has said, military is an overdeveloped institution because of the colonial structures it became successor to. In the presence of such structural problems, what can be the prospects for stable democratic institutions in Pakistan? Jalal. Alavi's argument was made for South Asia and not just for Pakistan. He talked about military as an "overdeveloped" institution in the colonial context. The military was an overdeveloped institution even in India. How do you then explain democracy in India and its lack in Pakistan? Historical evidence suggests there was nothing overdeveloped about Pakistan's military in the immediate aftermath of Partition. The flurry and chaos that would be there within bureaucracy, within the army in any new country was very much in evidence. In other words, there was nothing preordained about the military's rise to dominance. You cannot explain the rise of the military in Pakistan without the context of Cold War and, obviously, the India factor. Pakistani governments developed the military because of the India factor and because the Americans were more than happy to give us funds. Qasmi. You have used the term “intellectual wasteland" for Pakistan. How do you propose to change that? Jalal. The most important way to do that - and where we are losing the battle in terms of our intellectual tradition- is improving our education system. Intellectually, we are not on par with anyone. We are outnumbered. If you look at the way people think in this country, that is what makes it a wasteland. People don't even know there is a need for decolonisation of the mind. Even the type of Islam we keep fighting for is a colonial concept. We haven't really begun to understand that. Only when we begin to take decisions in our own interest [is when] we will truly be intellectually decolonised and able to turn this wasteland into a land of thousand flowers, blooming. Qasmi. Do you think there will be a subaltern movement in Pakistan’s historiography? Jalal. The prognosis of the subaltern school was very good but their actual work showed very poor results. The movement started off as a study of class, moved on to gender studies and now it is about subalternity of thought. But, what is subalternity? Qasmi. Let us rephrase it as “people's history". Jalal. History is all about perspective. People's history can be written when you have some broad agreement on the narrative of your history. If I wanted to write a people's history, I wouldn't be able to explain any of the key moments. 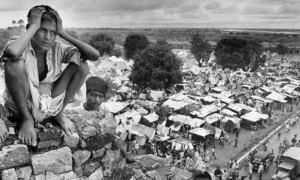 Can you explain Partition by a focus on people's history? Can you explain, through people's history, the mistakes we made in 1971? This is all romanticism with people. What I am trying to do is turn the gaze inward, to see how people were writing during the colonial period. If we have to understand the extraordinary developments in Pakistan's history, sadly, we have to look at the people with the power to make decisions. Why am I studying those few people? Precisely because they have made a mess of our lives. I shall be happy writing about culture and wonderful intellectual stuff, such as mushairas, but will it give me a perspective on where Pakistan is today? History is about perspective and balance. Qasmi. But you are moving towards literacy, cultural history, aren't you? Jalal. I have been moving in that direction for a long time. There is a whole world of scholarship in Urdu. I read a lot more Urdu sources now than I did in the past and they give me a very different view of things which colonial sources cannot. Qasmi. The first thing that strikes a reader in your recent work, The Pity of Partition: Manto's Life, Tunes, and Work across the India-Pakistan Divide, is its title. What do you think is the pity of Partition? Jalal. The pity of partition is that human beings are still slaves to bigotry. That is Manto's point of view. The pity that Manto talks about is how human nature in the context of conflict is reduced to criminality and animal behaviour. The other thing that I try to point out is the pity of Manto's life and what Partition did to him. Jalal. It is an interesting point. Whether Manto would have been as big a writer as he is now if Partition hadn’t happened is a big question for me. There is no doubt that Partition provided him the opportunity to write about things that, perhaps, he would not have written about. What made him internationally known are primarily his Partition stories. Did Partition also kill him? What killed him was not Partition. It was the heartlessness of his closest friends, such as Ahmad Nadeem Qasmi, for ideological reasons. What killed him was the treatment meted out to him in this country. He had left India, in large part, when his stories were overlooked [by filmmakers] in favour of Kamal Amrohi's story and even his best friend Ismat Chughtai's stories. He did not understand or approve of Partition but he slowly came to terms with it. Qasmi. You have mentioned how Islam and our understanding of it have been created through an interface of Islam and modernity or Islam and liberalism. In what ways do you think modernity has led to our understanding of Islam? Jalal. This tendency to say that Islam is somehow incompatible with modernity or liberalism is really very much a construct of the West and its antagonistic views of Islam. What I am trying to do is turn the gaze inward, to see how people were writing during the colonial period. Muslims from across the board - from all spectrums, religious and Western - responded to the colonial experience. It was by no means a closed experience; it was a much more creative interaction. There were Muslims who accepted the purely Western standards but there were many other variants - such as anti-colonialists who were moved by socialist-communist ideas or by Islamic ideas. Qasmi. Then there is also the important factor of codification which has made Islam into a closed system. Jalal. When it comes to the legal domain, you are absolutely right. Sharia was a moral precept but the question of precedence in colonial case law codified those precepts. What we call Sharia is Anglo-Muhammadan Law. I am not saying its solely colonial judges who created this - it was also the Muslim elite. Let me give you one example. We assume that there has been a struggle between modernity and tradition but, in fact, what we call tradition is at the heart of modernity. When the colonial state began intervening in the legal domain, it was not as if modern colonial laws were all against tradition. In fact, tradition defined those laws because the colonial state had to navigate the tradition with the elite's help. This way, many traditional things became entrenched in the name of modernity, including patriarchy. Qasmi. You have written about jihad's 200-year history in India, starting with Syed Ahmad Shaheed. You have also distinguished between jihad which is an internal striving and jihad that endorses militaristic activities. How do you explain these different notions? Jalal. I have argued that both internal and external jihad have coexisted and internal jihad was considered the greater jihad than the external one. What has happened in recent times is that the militaristic jihad has become the greater jihad. The prevalent view is that you can be the most sinful human being, even a murderer, but your sins will all be washed if you have made jihad for Allah. There is also a complete inversion of the concept that only the state or the ulema can declare jihad. Call it democratisation of jihad - as Faisal Devji does - but this has completely gone out of hand. Qasmi. Abul A'la Maududi [the founder of Jamaat-e– Islami] had to take back his views on jihad in 1948 when the war in Kashmir started and the Pakistani state put pressure on him to declare that war as jihad. Jalal. Maududi said the war in Kashmir was not jihad. He said if Pakistan wanted to do a jihad in Kashmir then, first of all, it must break all diplomatic relations with India. What Hafiz Saeed and others like him are saying about jihad is quite different. Their concept of jihad is a function of disappointments with the postcolonial state and the desire to win sovereignty. It is also a function of the fact that the post-colonial state and its elites are seen to be in cahoots with the West. There is a real alliance between the Western paradigm and these people. Like them, the West also insists that jihad is militaristic. Wherever there is a mention of jihad in traditional Islamic literature, it is not always militaristic. The insistence on this kills the complexity of the Muslim tradition. Qasmi. How do you think Edward Said's Orientalism has changed things in American academia as well as in American media? Jalal. I think sound bites are still winning the game. In the academy, however, there is much more nuance. Some excellent scholarship is coming out of the West on Islam, in fields such as Islamic legal studies. When I started teaching at the Fletcher School in 2003, all the books on Islam in the library there denoted a real thirst to know, a genuine curiosity. After the Iraq War, with American boots on the ground, the sense of war diluted the way we discussed books such as Said's Orientalism and Bernard Lewis' attack on him. People began to read these books through the prism of their modern predicament of being at war with the Muslim world. That made a very crucial difference. Qasmi. What is your opinion on the nexus between knowledge and power, and the ways it has been exemplified in the American academia? Jalai. I think Said got it right. In his book Covering Islam he talks about the nexus between the academy, the multinationals, the media and the White House. The amazing thing about the American academy, however, is that, while this knowledge-power nexus exists, there are people who are producing genuine knowledge, though they are not invited to contribute to policy. If you look at the media, some of the best scholars who are producing excellent work don't get invited to speak on the media. Why? Because America has been at war. When we criticise the West in broad terms, we must also realise that there are still spaces in the same West where people are arguing against their own government's policy. That, I think, cannot be said easily about some other parts of the world. This article was published in the Herald's June 2015 issue. To read more subscribe to the Herald in print. The writer is an assistant professor of history at the Lahore University of Management Sciences. Kuldip Nayar: "Partition was not inevitable"
I do not agree with Ms. Ayesha. My late uncle was a member of Muslim League and what I have learnt from that Muslim League led by Quide Azam wanted a separate homeland for Muslims called Pakistan. Very insightful study about partition. Jinnah was really a selfless and visionary leader. We salute this great leader. Alas his visions are sabotaged by the successors, what a pity. For your kind information, India's National Anthem is not "Vande Mataram". India's National Anthem is "Jana Gana Mana Adhinayaka Jaya He...."and there is nothing against Muslims or Hindus in this anthem. This anthem only depicts the extent of diversity of states of India and pledges all Indians to accept and respect this diversity whole heartedly. Thats a quality interview. finally a intellectual gift from both interviewer and interviewee. Lost interest after reading the title: Jinnah didnot want partition. So thoughtful and deep realisation of what is being taught is schools is made up history. Studying in foreign universities makes one an expert in Pakistani History. I wil also get an admission today. All Jinnah wanted was that after 70 years to people to guess what he wanted and what his vision was? Come one seriously people - if today we can all even pretend and act like 10% of Jinnah Pakistan would be an unbeatable country. This is probably one of the best take on Partition I have ever read. would be interested to know .. being a great leader what did he do to stop partition ? She is a true historian , it really does not matter now whether he wanted or not . But it does matter if people agree to rethink on what they know about Jinnah. Everybody thinks he knows well about him . But ask themselves do they know themselves honestly ? Actually nobody ever could know himself or herself that what they could do in such situations like partition. You can not be 100% sure of any side of decision. That is a fact. Thank you Ali Osman Qasmi and Ayesha Jalal for this beautiful, intellect and thought provoking conversation. It was heartening to know that intelligent people like yourself exist in Pak. In my opinion, Pak is fortunate to have people like Ali Usman and Ayesha Jalal serving Pak these are the type of individuals who should be leading Pak. I think Ms Jalal is 100% right about Mohammed Ali Jinnah and his role during partition. Though I know one thing Mohammed Ali Jinnah fought for the rights of the Muslims of the sub continent and not the Mullahs of the sub continent. Also, he helped create Pak for the Muslims of the sub continent where all religions, ethnicity, creed and color will live in peace and not for the Mullahs of the sub continent. The day Pak people understand this is the day Pak will be on the path of success. This is the problem. She knows very little about India and history and boasts lot. One thing I understood from this interview is that indeed Jinnah is right that Muslims and Hindus can't live together as the first are converted from the latter and they always have a inferirority complex. So it is good that we are sepearted. @Muslim Medina Well said. That's what I have heard too. To appreciate Professor Jalal's work one needs to grow beyond the narrow definitions of patriotism. The comments below are a clear indication that the patriots on either of the divide lack the perspective i.e. historical perspective. Unfortunately, patriotism breeds hero worship and it is difficult for the brainwashed to accept that their leaders are also products of dialectics and often do have feet of clay. The sooner one withdraws their heads buried in sand the greater the learning. Thank you Professors Jalal and Qasmi. @Muslim Medina I do not think she said that MAJ was always against the partition. In the beginning and when he was leading Congress, But after his frustration with attitude of leaders of Congress idea on separate homeland evolved and MAJ lead that. I agree...plus the title of article, "Jinnah did not want Partition" made me angry. I really thank Modi for reviving two nation theory. Qaied Azam had seen the entire sub continent as having all seperate nations like Europe and having a common alliance like European Union. All nations soverign and independent but agreeing to abide by common agreements on trade, economics etc. Each nation was to have its own military. But when hindus wanted a indian Union to rule like the Mughal and British empires, than Qaid wanted a seperate federated Homeland of muslims to counter the Indian Union. He knew how Hindus worked and he was 100% right as we have seen. Modi is evidence of that. "Infested" is the word Mrs Ayesha Jalal uses for Indians in South Asian studies in USA. Well that tells us about the attitude Pakistanis have about Indians. For Indians there is no confusion about where they belong to? Its clearly India and not Arabia. The other day I heard Oriya Maqbul Jaan stating on TV channel that Pakistan needs to look at Central Asia and Arabia as that is where Pakistanis came form . @Muslim Medina at first Jinnah opposed the idea of separate country but later on joined in as he saw how Muslims in India were being mistreated in all sectors be it education, religion, or culture. Without Quaid's support Pakistan would not have been able to gain independence. @aslam shaikh At least one can fearlessly say in a foreign country.In foreign country all the relevant material is available,which is banned in Pakistan. Useless discussion after 70 years. Partition is a fact and also irreversible with 3 countries now in existence. Vande Matram isn't the national anthem of India. Our national anthem is "Jana Gana Mana Adhinayak Jaya Hai, Bharat Bhagya Vidhata".
" Vande Matram" is our national song which is equally popular as " Sare Jaha Se Acha, Hindustan Hamara. I guess, you know who wrote "Saare Jaha Se Acha". Please clear your misunderstandings and update your G.K. before coming to a conclusion or verdict against INDIANS. @Anusri Tripathi, I conveyed the same fact to the interviews, before scrolling down to your comment. I think they need someone like us to tell them that "Sare Jaha Se Acha, Hindustan Hamara" is equally popular to "Vande Matram" and I wonder if they know, who wrote "Sare Jaha Se Acha". We Indians respect all, whether it's our fellow citizen or a pakistani, unless the person in question doesn't offend our nation. There is no point in discussing whether partition was right or wrong. The omelette has been made, you can't turn it back to an egg. So better start eating it. Reading the comments it is clear that Pakistanis do not deserve a scholar of Ayesha Jalal's caliber. Well it is of no use that who wanted what in the past for the current generation, but it is more important that are we again on the same path of creating hatred for the future generation which whole of the world will make use and supply arms to us to kill our own people. Nothing I will quote for pakistan but one thing to say, Together India and Pakistan deserved much better world than the previous regimes had given to us. With deep respect to the work of the Quaid, why are some people obsessed of what may or may not been his vision of Pakistan. He was one part of a team of visionaries. His legal and leadership skills in navigating the end of Empire was his major contribution to those wanting a homeland called Pakistan. I get we should celebrate that and study it for its lessons. The other part is every persons excuse to present their wants as the vision of the Quaid. @Anusri Tripathi Yes, in theory only but look at the treatment meted out to minorities, India's own lower caste Hindus, untouchables and after BJP coming to power second time the future of Muslim as a community looks bleak. The year is 2017. It does not matter who wanted partition or not. It is a reality. Let's make Pakistan great. Educated at Wellesley College in the United States. After reading this, i directly came down for a comment. I am not surprised that even after Ayesha 's excellent work people are still confused what Jinnah wanted!. I suggest everybody read Stanley Wolpert books on partition to understand the main characters Jinnah, Nehru and Gandhi. Jinnah was far superior thinker above all of his peers Indians and the British. He was a British man living in India and he had democratic ideals and his best friends including his personal physicians were not Muslims but Parsi and Hindu and the Brits. He would never would want a small piece of land for himself and he was far superior in his thinking to want to divide his homeland and compromise the integrity of his homeland and its people. When he was a leader of congress he preached unity and he identify himself as a Muslim but an Indian. So, truths should be revealed about the past as it may generate a hope for the future.